Florence Italy Bans "Jersey Shore Guidos"
I saw "Jersey Shore" for the first time last night while on the elliptical machine at the Health Club. I had the sound off but these trainwrecks were in Miami. They have not gone to Italy as planned, as they are not wanted in the Uffizi, Boboli Gardens etc., according tot he Mayor of Florence. Japanese companies bring in poor Filipino and Chinese laborers as "trainees", and pay them less than minimum wage and enforce a curfew. They take their passports and cellphones making them "slaves." More than 120 have died in this trainee program since 2005. Mahusay Sila! Pero mas maganda ang tribute nila sa MJ noon. John Safran, a comic from Australia, joined three Filipino men and a woman who were each nailed to crosses as part of the Easter celebration. The Australian reportedly did it for "forensic" insight into religion. The ceremony, which took place just outside Manila, is an annual event. An AFP report from Manila said the Australian, who was half-naked and wearing a long-haired wig with an improvised crown of thorns, joined Filipinos in a procession carrying a huge wooden cross to a crucifixion site. He could be heard moaning loudly as the nails were driven into his palms and as his cross was hoisted up, allowing him to hang for about five minutes. When he was taken down, he was rushed by men dressed as centurions to a medical tent for treatment. Another story about these rituals, including the tale of Ruben Enaje who endured his 23rd crucifixion. Enaje, a carpenter, vowed to undergo the ritual after he escaped unscathed when falling from a three-storey building. Accompanying the Kristos are hundreds of “flaggelants”, or “penitentes” – hooded men who whip their own bloody backs with whips of bamboo and rope, as penance for sins. That's what the Christian Science Monitor is reporting. Filipinos have a joke about Cadillacs. For many Filipinos, owning a car is out of reach much less a luxury car, such as a Cadillac. They tell visitors they have a Cadi-lakad. (lakad is the verb to walk). Shrimp Head Soup for Christmas Dinner? Two million Filipinos (OFWs or Overseas Foreign Workers) are employed in Qatar as migrant workers, but that number is decreasing slightly as a result of the world financial crisis. Recently laid off workers don't have the money to return home, and as a result they are begging in the streets of Qatar for food. Some industrious Filipinos walk to the fish market where they collect shrimp heads that were discarded in the trash by shrimp venders. They boil these to make soup and hope that they can find some rice to eat with this makeshift meal. The video below is in Tagalog, but you can see the Filipinos collecting the shrimp heads at the market. Is this part of the flat world that Thomas Friedman writes about in his award winning book? I stopped by the thrift store near my house and found some noteworthy religious items for sale. The Jesus Paint By Numbers caught my eye immediately, and it was paired with Moses holding the ten commandments for the photo. I placed the items on a futon sofa which made a nice, uncluttered backdrop. Jesus is nice - reindeer, too but the best of Christmas is the Lord's gift to you. I paired that with a manger scene for the photo. The figures in the manger scene look more like Dutch than persons from the Middle East. I should have noted if they were wearing wooden shoes. The last items are porcelain Jesus Bells depicting Helping the Fisherman (and later walking on water), Feeding the Poor, and The Last Supper. We bought the bells as a gift for my brother-in-law for his new home. He told us a movie star, Alicia Alonzo, used to live in it. Alonzo was the star in Mad Doctor of Blood Island. A news story appeared tonight that's relevant to bell depicting Jesus feeding the poor. Nations' representatives voted on a United Nations resolution declaring "hunger an outrage and a violation of human dignity, requiring the adoption of urgent measures at the national, regional and international level, for its elimination." 180 nations voted in favor of the resolution; one, the US, voted against it. This is the only separation of church and state that the Republicans believe in. They are waiting apparently for Jesus to return to earth to feed the poor with a loaf of bread and a fish. 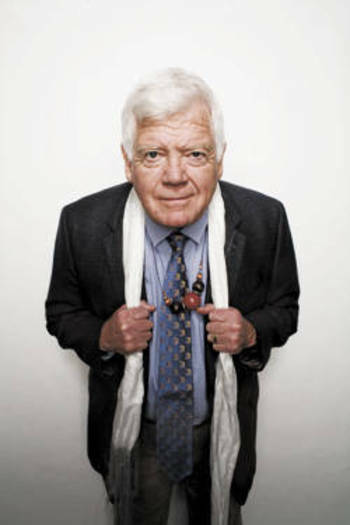 Rep. Jim McDermott became the fourth U.S. House member from Washington to endorse Barack Obama for president. He said, "I am confident as president he will end the war in Iraq and bring our sons and daughters home." McDermott said he has been greatly impressed by Obama's appeal to young people. McDermott joins at least five other Washington "superdelegates" who have endorsed Obama in the race for the Democratic nomination: Gov. Chris Gregoire; Reps. Rick Larsen, Adam Smith and Brian Baird; and Pat Notter, a member of the Democratic National Committee. Sen. Hillary Clinton has the support of five of the state's superdelegates, including Sens. Patty Murray and Maria Cantwell, Reps. Norm Dicks and Jay Inslee, and King County Executive Ron Sims. Obama won Washington's caucuses earlier this year. Ex-President Bill Clinton staged a fundraiser in Seattle in the fall of 2006 to help McDermott pay legal bills from his battle with GOP House Minority Leader John Boehner. McDermott said Thursday he had repeatedly tried to reach Hillary Clinton to tell her he was endorsing Obama. McDermott said he's still fearful that the Bush Administration will manufacture a crisis with Iran as a way of reigniting voter fears of the Democrats' ability to handle security issues.